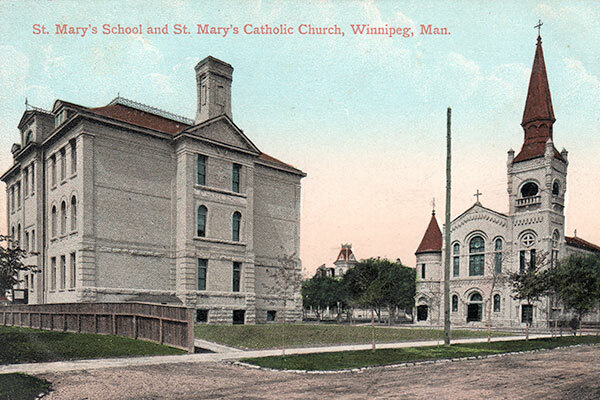 Administered by Catholic educators, St. Mary’s School was located in downtown Winnipeg where the Delta Hotel stands today at St. Mary Avenue and Hargrave Street, one block east of Alexandra School. Architect Samuel Hooper supplied the design. 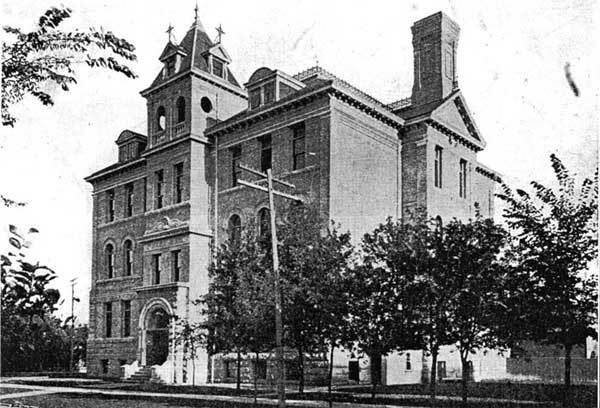 The school was completed in 1904. 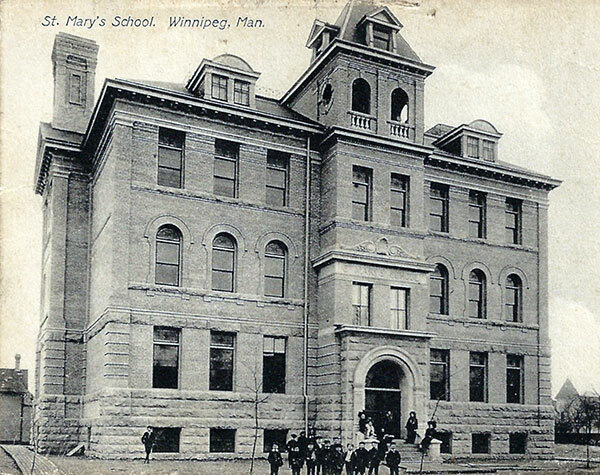 St Mary’s School’s illustrious alumni include William Richard Bawlf, grain merchant and president of the Winnipeg Grain Exchange; and Francis Laurence ‘Bud’ Jobin, politician and Manitoba’s Lieutenant Governor in the late 1970s. The school closed in 1968. A fire on 28 November 1969 sealed its fate and the building was demolished in 1971.